Tierion and TokenSoft are working together to improve the ability to conduct secure and compliant token sales. TokenSoft is now using Chainpoint to prove that data collected during token sales is accurate and hasn’t been modified. TokenSoft is a white label token sale platform for running stable, compliant, and secure token sales. TokenSoft’s platform enables compliant issuance of tokenized securities in over 50 countries. Their clients include The Tezos Foundation and Bloxroute. How does TokenSoft use Chainpoint? Tokensoft uses Chainpoint to provide issuers and buyers with irrefutable proof of their token sale purchase. When a buyer completes their token purchase, their digitally signed record is linked to the Bitcoin blockchain. This establishes a timestamped audit trail for each purchase, allowing issuers to better meet compliance requirements. “Chainpoint helps TokenSoft prove the integrity and timestamp of data collected during a token sale. Issuers and regulators can now have greater confidence that the data is accurate and hasn’t been modified. How can I learn more about Tokensoft? To learn more about TokenSoft’s security token sale platform, please visit the TokenSoft website and follow @TokenSoftInc on Twitter. How can I learn more about Chainpoint? Chainpoint allows software developers to link data to the blockchain. 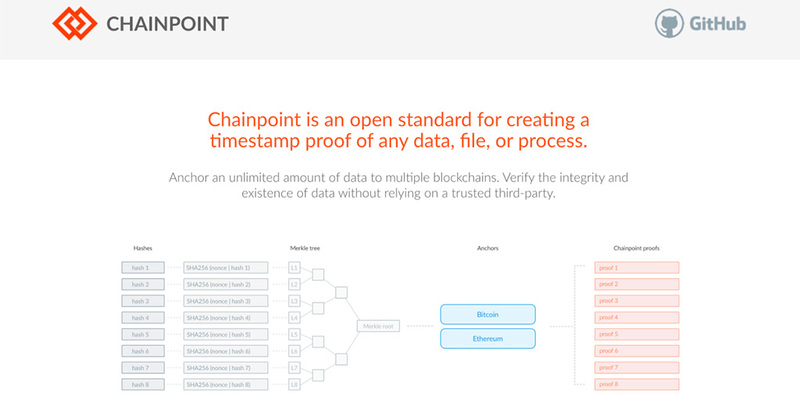 This process generates a Chainpoint proof, which can be used to prove the data is linked to a point on the chain— hence the name Chainpoint. Blockchains are notoriously slow. Bitcoin can process about four transactions per second. Ethereum can process approximately fifteen transactions per second. Chainpoint overcomes these scalability limitations by linking thousands or even millions of Chainpoint proofs to a single transaction. Software developers can learn more about Chainpoint by visiting the Chainpoint web site or GitHub repo. Follow @chainpnt on Twitter.